Peace talks between the Government of Uganda and the Lord’s Resistance Army (LRA) resumed this month in Juba, southern Sudan. The discussions yielded a renewed cessation of hostilities agreement and a quick deal on a road map for comprehensive solutions to the conflict, the second point of the five-point negotiating agenda. Yet deep uncertainty remains about whether the LRA will fully abide by the cessation of hostilities agreement. LRA attacks against civilians in south Sudan continue and threaten to seep back into Uganda. Mounting evidence suggests that elements within the Sudanese government, long a sponsor of LRA leader Joseph Kony’s unique brand of terror, have not abandoned the LRA. Instead, hardliners within the regime in Khartoum are likely keeping the LRA in reserve as a proxy force that can be quickly reactivated to destabilize South Sudan and further undermine implementation of Sudan’s shaky Comprehensive Peace Agreement (CPA). The Juba peace process provides a unique window of opportunity to end a brutal conflict that has devastated northern Uganda for twenty years and spread like lava, slowly and intensely, to surrounding countries. While the recent successes should not be trivialized, flaws in the peace process must be addressed in order to achieve a durable agreement. There is not a single LRA fighter or military decision maker present at the bargaining table, raising a serious cloud of suspicion that any potential agreement will be worth the paper it is written on. Moreover, U.S. leadership capable of pushing the peace process forward is inexplicably absent. The process is hobbled by the absence of clear, effective leverage on the LRA and the Government of Uganda. Unless Joseph Kony sees a peace agreement as his best and only option, the erratic LRA leader will continue to draw out talks while simultaneously improving his military posture by resupplying, regrouping, and recruiting new forces. And if Ugandan President Yoweri feels that the U.S. is vested in the Juba process, he is more likely to take the necessary steps for a lasting peace. The U.S. should appoint a senior diplomat to work in direct support of the peace process and in close collaboration and coordination with the UN Special Envoy, support the process financially, and use its significant leverage with the Ugandan Government to exhaust all peaceful options for resolving the conflict. The international community – particularly the U.S. – should pressure the Ugandan government to curb human rights abuses by its own security forces and deploy a police force capable of protecting civilians. Uganda, Congo, and Sudan should also work with the international community to develop a regional strategy to prevent further LRA atrocities within their national borders. The International Criminal Court (ICC) should continue to pursue its case against Joseph Kony and his lieutenants. Ideally, the Ugandan government and the LRA will reach an agreement containing credible accountability mechanisms that will satisfy the voices of the LRA’s victims and meet international standards of justice. If a comprehensive peace agreement is in fact implemented, then the UN Security Council could also suspend the ICC cases against Kony and other indicted LRA leaders for one year at a time –- conditional on their good behavior – in the interests of peace in the region. Not long after the blazing South Sudan sun had set on May 2, the courtyard at Juba Raha camp lit up with flashing smiles, crackling laughter, and celebratory drinks spilling onto the dry soil. Members of the LRA delegation mingled with representatives from the Government of Uganda, congratulating each other and the Government of South Sudan-led mediation team for reaching an agreement on comprehensive solutions to the conflict, the second point on the talk’s five-point negotiating agenda. “Now that this is signed, the remaining points should not be difficult to negotiate,” one member of the LRA delegation told ENOUGH. What is the five-point agenda at the Juba peace talks? Cessation of Hostilities – Originally signed on August 26 and renewed for the third time on April 14. The first bilateral truce between the Ugandan Government and LRA aims to create a stable, secure foundation for peace talks by suspending all hostile military actions and requiring the LRA to assemble in designated, monitored areas. While the agreement yielded a significant peace dividend in northern Uganda -– most LRA have left, people have begun to return home, and access for humanitarian aid workers has improved -– the LRA have yet to assemble and attacks against civilians continue in South Sudan. Comprehensive Solutions – Signed on May 2. Redevelopment, rehabilitation, and reintegration are necessary to break the twenty year cycle of conflict in northern Uganda and build sustainable peace in this economically and politically marginalized region. Since the brutal LRA is not a credible delegate to represent the long-term interests of northern Ugandans, the agreement signed on May 2 outlines broad principles for healing the wounds of war and creates a follow-up forum in Uganda to be led by northern Ugandans. Reconciliation and Accountability – The two parties are now beginning negotiations on how to combine traditional reconciliation ceremonies and national judicial proceedings to create a just peace without impunity for those individuals who bear responsibility for the gravest crimes. In addition to reconciling the short-term need for peace and the long-term interests of justice, the parties will have to agree on robust accountability mechanisms that will satisfy victims of LRA atrocities while meeting international standards set out by the International Criminal Court (ICC). Disarmament, Demobilization and Reintegration (DDR) – Ensuring the smooth return of abducted child soldiers raised on conflict and warlords with blood-stained hands represents a major problem for the parties to address. Formal Ceasefire – Once the substantive issues and technical details are worked out, the last phase of negotiations will be to transform the temporary cessation of hostilities agreement into a permanent ceasefire. For civilians near Bibia, a small Ugandan town near the border with Sudan, the night sky must have seemed more foreboding. Only two days before, a group of suspected LRA rebels ambushed a truck heading along the vital commercial artery connecting bountiful Uganda with the burgeoning market of southern Sudan, killing seven people. Since the start of the peace process 10 months ago, this was the first time that the LRA has been accused of killing civilians in northern Uganda. On the morning of May 2, LRA deputy commander Vincent Otti phoned a local radio station in the north and acknowledged that one of his commanders may have been responsible for the attack. The Juba Peace Talks – Back on Track? The contrasting scenes in Juba and Bibia – progress on paper set against smoldering setbacks on the ground –- encapsulate the central paradox of the current peace process. At the bargaining table, the last month has witnessed significant progress. Reinvigorated international engagement, spearheaded by UN Special Envoy for LRA-affected areas Joaquim Chissano, played a crucial role in brokering a deal to salvage the talks. On April 15, following a week of secret meetings in the Kenyan coastal city of Mombasa and two days of talks along the Sudan/Congo border, the parties revived the expired cessation of hostilities agreement and agreed to resume negotiations in the southern Sudanese town of Juba on April 26. Extended until June 30, 2007, the new cessation of hostilities agreement contains key amendments to the original signed in August 2006. The burden of assembly on the LRA was lowered by eliminating an assembly area along the Uganda/Sudan border at a town called Owiny Ki-bul, and requiring all LRA to assemble within a 15 kilometer radius of Ri-Kwangba, a small Sudanese village bordering Congo. With the LRA’s jungle hideout just inside Congolese territory, most LRA can simply remain in Congo and will not have to move an inch in order to comply with the obligation to assemble. Weak monitoring mechanisms have been bolstered by the inclusion of eleven African Union (AU) officials, eight of whom will be joining a team stationed full-time at Ri-Kwangba. As part of the deal to resume formal negotiations in Juba, the Ugandan Government and LRA made some changes to the mediation process. Representatives from Kenya, South Africa, Tanzania, Mozambique, and the Democratic Republic of Congo will observe the talks and serve as partial guarantors of any final agreement. To address the gender gap at the bargaining table, female representatives were added to both delegations. The LRA delegation also received a large increase in their daily stipends, from $50 to $120 a day. Under the terms of the deal on comprehensive solutions, the Ugandan Government accepts its obligation to redevelop war-ravaged areas and reintegrate the north into the social, economic, and political fabric of the nation. However, the agreement is somewhat ambiguous about how, when, and where these longer term issues, essential to breaking the cycle of conflict in northern Uganda and building a sustainable peace, will be addressed. Moreover, the LRA retains the ability to bog down the peace process in the future by demanding to negotiate an implementation protocol or resurrecting an array of overly ambitious demands – such as restructuring the Ugandan army and federalism for northern Uganda – that the LRA have little legitimacy to assert. The resiliency of the Juba talks and progress at the negotiating table is marred by more ominous countercurrents on the ground. Sluggish implementation of the cessation of hostilities agreement, deteriorating security in South Sudan, and unclear commitment by the LRA collectively are undermining Juba’s apparent momentum. Over three weeks after the new cessation of hostilities agreement was signed, AU monitors have not arrived, the monitoring team itself has not been reestablished, and safe corridors for LRA to proceed to the assembly point at Ri-Kwangba have not been announced. Instead, security officials in Juba told ENOUGH staff that the Ugandan army has clashed repeatedly with the LRA, who have engaged in an increasing number of attacks against civilians. Vehicles are being ambushed, villages looted, children abducted, and innocent people killed. LRA commanders have suggested to interlocutors that they are not in full control of the forces in eastern Equatoria, South Sudan, which may have splintered into smaller groups and are unlikely to heed the call to assemble. According to security and military sources recently interviewed by ENOUGH staff, LRA forces in eastern Equatoria are estimated to be between 800-1000, including a small number of women and children. Battle-hardened and brutal LRA fighters perched precariously near the Ugandan border remain a looming and unpredictable threat to the region’s civilian population. Despite its accomplishments, the Juba talks will circle unsuccessfully around a final agreement as long as the process is not geared directly toward addressing the LRA military leadership’s core security and livelihood concerns. The current delegation representing the LRA is plagued by questions about their credibility, competency, and cohesiveness. Without a single LRA fighter at the bargaining table, there is serious doubt about whether any agreement signed in Juba will actually bind the LRA military leadership and draw them out of the bush. The negotiation of the cessation of hostilities agreement – with repeated written promises by the LRA delegation that the fighters will assemble and then repeated failure of the fighters to actually do so – is a pattern that will likely be repeated unless external actors capable of imposing effective leverage on both parties become more actively engaged. The newly introduced regional observers have proved useful so far in promoting communication between the negotiating parties and building confidence, but their long-term impact is constrained by their lack of leverage. Likewise, although efforts by the UN Special Envoy for LRA-affected areas Joaquim Chissano were crucial in salvaging the peace talks, Chissano has not established an office in Juba and does not yet have a consistent enough presence on the ground to guide the process forward. Only a country like the U.S. has the diplomatic, economic, and military weight to create tangible incentives and disincentives for both parties. Successful elections last year in the Democratic Republic of Congo and the slow but steady transition to a functioning state from what had been a large security vacuum means that the LRA will not be able to hide in Congo forever and the Ugandan army cannot unilaterally enter the country to hunt down the rebels without strong international condemnation. Stability will enable the region’s military forces to mature and become more effective, increasing pressure on the already beleaguered LRA, and create economic incentives for a peace deal. But the landscape could easily change, particularly if Sudan’s Comprehensive Peace Agreement falters and Khartoum renews support of the LRA. The international community, spearheaded by strong U.S. support, must make sure that this window of opportunity for peace is seized. Peacemaking: The U.S. should appoint a senior diplomat to work in direct support of the peace process and in close collaboration and coordination with the UN Special Envoy, support the process financially, and use its significant leverage with the Ugandan Government to exhaust all peaceful options for resolving the conflict. A comprehensive peace process must proceed on two tracks. The first track between the Ugandan government and LRA leaders should defuse the LRA security threat by focusing on the specific details of the LRA's return from the bush – notably security arrangements for Kony and his top lieutenants – and more technical issues such as disarmament, demobilization, and reintegration (DDR) of LRA fighters back into society. The second stage between a wider set of actors from Northern Uganda must deal with the accumulated wounds of war and directly address the conditions that have made northern Uganda prone to conflict for the last 20 years. Assisted by the international community, the Ugandan government must hold an inclusive national forum to deal with the underlying political and structural issues that have fuelled the cycle of conflict in the north. Formal negotiations need to be combined with informal attempts to convince the LRA that they will be accepted back into the community if they return home. Facilitating meetings between the LRA and Acholi leaders, former commanders that have successfully reintegrated, and family members will be critical to overcome these understandable concerns and build confidence that a peaceful return is possible. Protection: The international community –- particularly the U.S. –- should pressure the Ugandan government to curb human rights abuses by its own security forces and deploy a police force capable of protecting civilians. Uganda, Congo, and Sudan should also work with the international community to develop a regional strategy to prevent further LRA atrocities within their national borders. Despite improved security conditions, protecting northern Ugandans from a possible return to full-scale civil conflict and addressing the plight of displaced and vulnerable northern Ugandans remains an urgent priority. The miserable condition of life in the camps is the primary cause of death in northern Uganda, with malnutrition and disease killing 1,000 people every week. In response to the LRA attacks years ago, the Ugandan government herded people into camps, and the government now must take appropriate measures to protect people from the consequences of this encampment policy. The Ugandan government's responsibilities must be clearly laid out and international human rights officers must be deployed — preferably under UN auspices — to monitor the voluntary return of displaced Ugandans to their homes. Coordinated military actions to apprehend the ICC-indicted LRA leadership. Enticements to rank-and-file LRA to return home through offers of amnesty, improved reintegration packages, and programs targeted at improving the capacity of war-affected communities to accept and absorb former fighters. Measures to sever the LRA's supply lines by establishing a Sanctions Committee through the UN Security Council to investigate sources of support and recommend offenders for multilateral sanctions, such as asset freezes and travel bans. Steps to contain the LRA within the remote jungles of Congo to neutralize the threat they present to civilian populations. If military force must be used, national armies should operate in concert but within their own borders. A forum must be created where all LRA affected countries and the UN missions in Sudan and Congo can sit at a single table to discuss and coordinate this collective response. The U.S. can play an important role in ensuring that the countries work together and have the necessary capabilities to implement any backup regional security strategy. The Ugandan army has drastically improved on its poor history of protecting civilians from LRA attacks. Camps are better protected than in the past and troops have been deployed to prevent the LRA in Sudan and Congo from crossing back into Uganda. The Ugandan government should take the next steps to improve security by providing a capable police force in the war-impacted areas and rebuilding the court system to enforce the rule of law. The Ugandan government and the international community must also work to ensure that the shifting security situation in the north doesn't create as many problems as it solves. Adequate resettlement packages and essential services must be provided to displaced civilians who move to smaller, newly created decongestions sites rather than return home. Rather than cutting down aid, as the World Food Program may be forced to do by a lack of donor support, aid agencies and the international community must work with the Ugandan government to take advantage of improved security to alleviate humanitarian suffering by providing more relief. Without access to aid and resettlement packages, competition and conflict over land, the one productive resource remaining for the Acholi, will increase. The development of a new national land policy is urgently needed, but has been put on hold due to lack of funding. 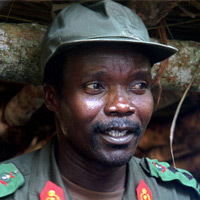 Punishment: The International Criminal Court should continue to pursue its case against Joseph Kony and his lieutenants. If a comprehensive peace agreement is in fact implemented, then the UN Security Council should suspend the ICC cases against Kony and other indicted LRA leaders for one year at a time -– conditional on their good behavior -– in the interests of peace in the region. Strong justice and accountability mechanisms must be central to any meaningful peace agreement to win domestic acceptance and broader international support, but also to deliver justice to victims and deter future crimes. Traditional reconciliation ceremonies are important to ensure reintegration and rehabilitation of returning LRA fighters, but are not sufficiently adapted to the scale, scope, and nature of the current conflict's crimes and must be supplemented with more formal mechanisms. With respect to the indicted commanders, the most principled, pragmatic compromise balancing the short-term interests of peace and longer-term interest of justice would be third-country asylum for the indicted LRA commanders in a country that is not a member of the ICC. If the LRA undermines the talks or is responsible for their collapse, then regional partners in collaboration with the international community must exert all efforts to apprehend the indicted and bring them to justice. Team up with Resolve Uganda and committed activists across the country as we call on our leaders to support the peace process by dispatching a senior-level diplomat to Juba. Current negotiations represent the best opportunity to end the war in over twenty years, but securing a lasting peace requires urgent action from the U.S. government. To make sure this happens, people like you need to voice your concern and tell your leaders to act for peace. Right now, a letter asking President Bush to send a diplomat to the peace talks is sitting on the desks of your members of Congress. To make sure it gets off their desks and into the White House, join Resolve Uganda's campaign to “Dispatch a Diplomat” during the week of May 21, and ask your representatives to sign on. To find out how, go to www.resolveuganda.org. urge the Bush administration to support the peace process financially, and use its significant leverage with the Ugandan government to exhaust all peaceful options for resolving the conflict. appoint a senior diplomat to work in direct support of the peace process and in close collaboration and coordination with the UN Special Envoy, support the process financially, and use its significant leverage with the Ugandan government to exhaust all peaceful options to resolving the conflict.